This game is being played in Jacksonville, a somewhat neutral site. Will Muschamp is leading the Gators but this is a great spot for them to rise against one of their fiercest rivals. Florida has won 18 of the last 24 meetings the fact that the Bulldogs are off a bye week does not help their cause as they are 0-4 ATS in their last four after rest. After last years disastrous season Florida is looking to avoid their fourth straight loss in the series. Georgia has beaten only one SEC team, Missouri, that has an above .500 record in the SEC. The Bulldogs other four league games have been against South Carolina, Tennessee, Vanderbilt and Arkansas. Those teams are a combined 2-17 in the SEC. One of those wins was South Carolina’s victory against Georgia. Georgia still will be without suspended star running back Todd Gurley. He won’t be eligible to return until Nov. 15. Florida was idle last week after losing in embarrassing fashion to Missouri at home, 42-13. That score is highly misleading, though. Missouri scored a combined four touchdowns on interception touchdown returns and special teams touchdowns. There is nothing wrong with Florida’s defense. It’s good. The Gators hold foes under 26 points a game and to fewer than 318 yards per game. They’ve forced 16 turnovers in six games. The key here is Florida finally has had enough of Jeff Driskel, who has been dreadful. The Trevon Harris era is now upon us and it should give the Gators a spark because the freshman is a big-time athlete, who can throw and run. 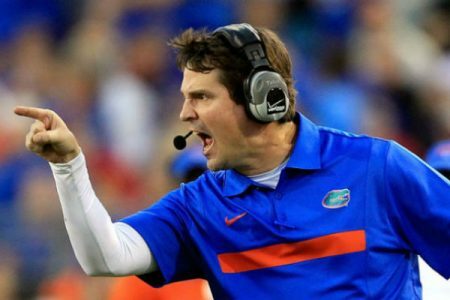 This is a monster rivalry game and Florida coach Will Muschamp is coaching for his job. The Gators certainly won’t lack motivation and with a tough defense and the right quarterback they will make this game very interesting.